We opened our fall season with a marathon sale of 19th & 20th Century Prints & Drawings, breaking multiple records and earning more than $2.6M. The September 19 auction offered 635 examples of fine and museum-quality works, many of them originals, to a crowded hall of bidders. Sold September 19, 2017 for $125,000. 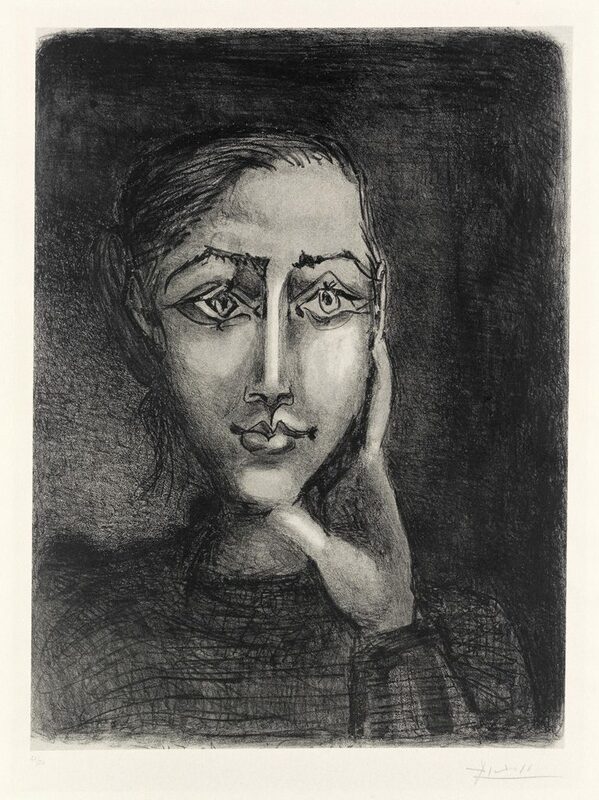 The top lot of the sale was a large black-and-white lithograph by Pablo Picasso of Françoise Gilot, titled Françoise sur fond gris, 1950, which sold after breakneck bidding to a buyer on the phone for $125,000. Of the 49 works by the master offered in the sale, 75% found buyers, for a total of $389,590. Additional highlights included the color linoleum cut Les Banderilles, 1959, and the aquatint Femme au fauteuil II: Dora Maar, 1939, each of which sold for $27,500. A run of Madoura ceramics by Picasso also performed well, led by the platter Mat Owl, 1955, at $11,250. 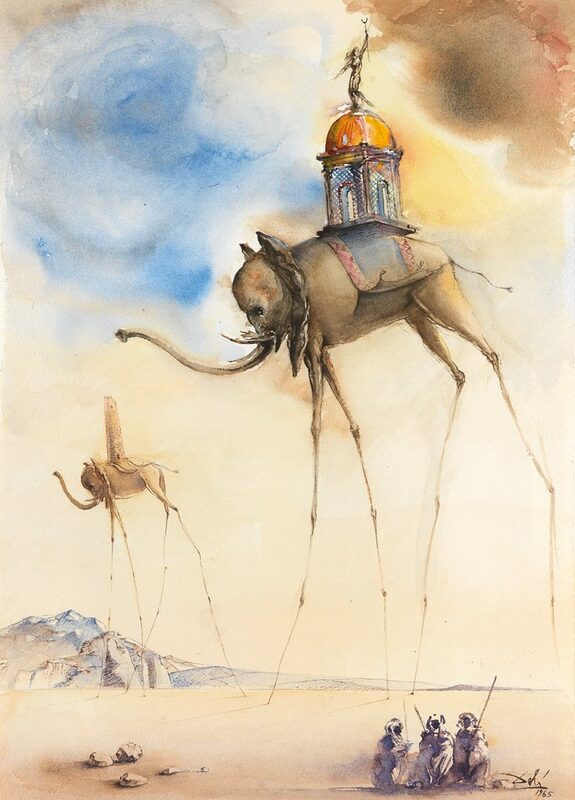 Lot 527: Salvador Dalí, Elephant Spatiaux, watercolor, 1965. Sold September 19, 2017 for $60,000. The sale featured a cavalcade of original and unique works by marquee artists, led by Elephant Spatiaux, a 1965 watercolor by Salvador Dalí in his signature style, at $60,000. Lyonel Feininger’s atmospheric watercolor Space, 1954, reached $47,500. A portrait in pencil by Diego Rivera of his friend Ralph Stackpole, probably based on an earlier photograph, exceeded its high estimate to sell for $40,000, while Paul Klee’s pencil-and-ink Durch Poseidon, 1940, reached $30,000. 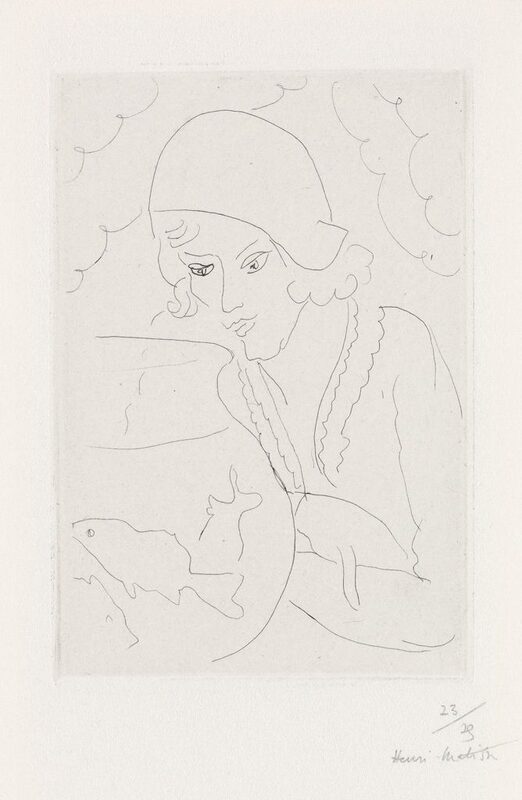 Lot 370: Henri Matisse, Jeune femme à la coiffure hollandaise, regardant des poissons, etching, 1929. Sold September 19, 2017 for $22,500, a record for the work. 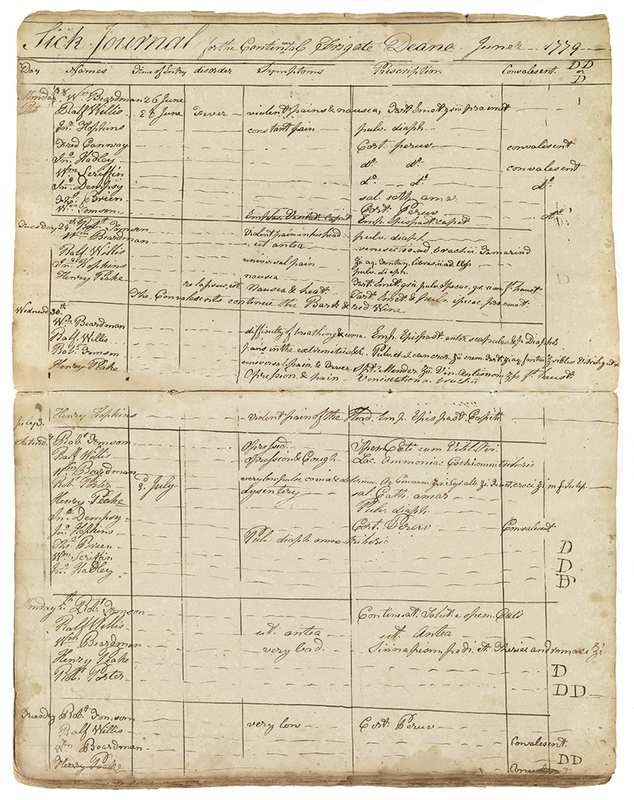 The sale broke several long-standing auction records for works by important artists. Henri Matisse’s etching Jeuene femme à la coiffure hollandaise, regardant des poissons, 1929, exceeded its previous record by nearly $15,000, selling for $22,500. A late cubistic color aquatint and etching by Georges Braque, Hommage à J.S. Bach, 1950, more than doubled its previous record at $11,875. 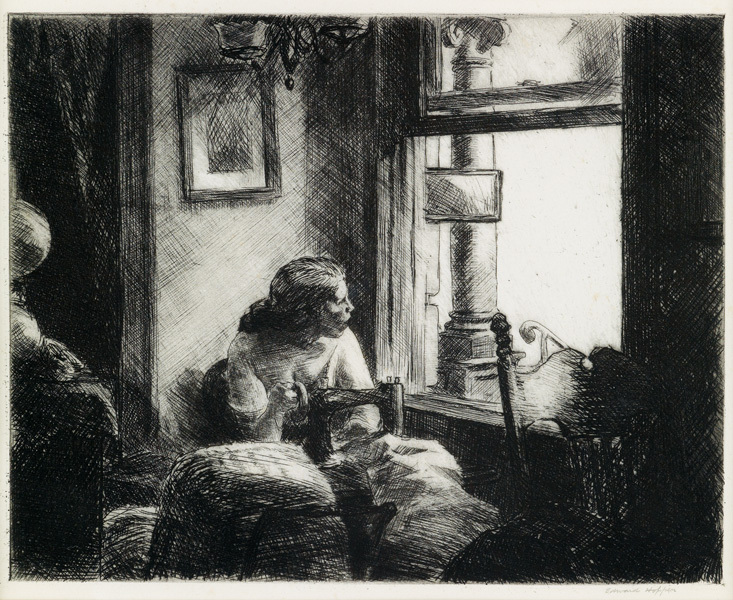 Three records were set for works by Thomas Hart Benton, with additional records achieved for works by Yves Tanguy and Jacques Villon. Browse the catalogue for complete results. The next sale of Prints & Drawings at Swann Galleries will be Old Master Through Modern Prints on November 2, 2017. For more information or consign quality materials, contact Todd Weyman at tweyman@swanngalleries.com.